" I tried a less expensive filter with a more compact design. Bad move, this is the best for me. " The Outlet Bacteria Filter (10 Pack) is a generic filter used to purify the air and help prevent particles from entering the CPAP during sleep therapy. The generic outlet filter acts as an additional barrier for dust and particles, co-existing with the machine's existing filters. The extra layer of protection is intended to help those who suffer from allergies. 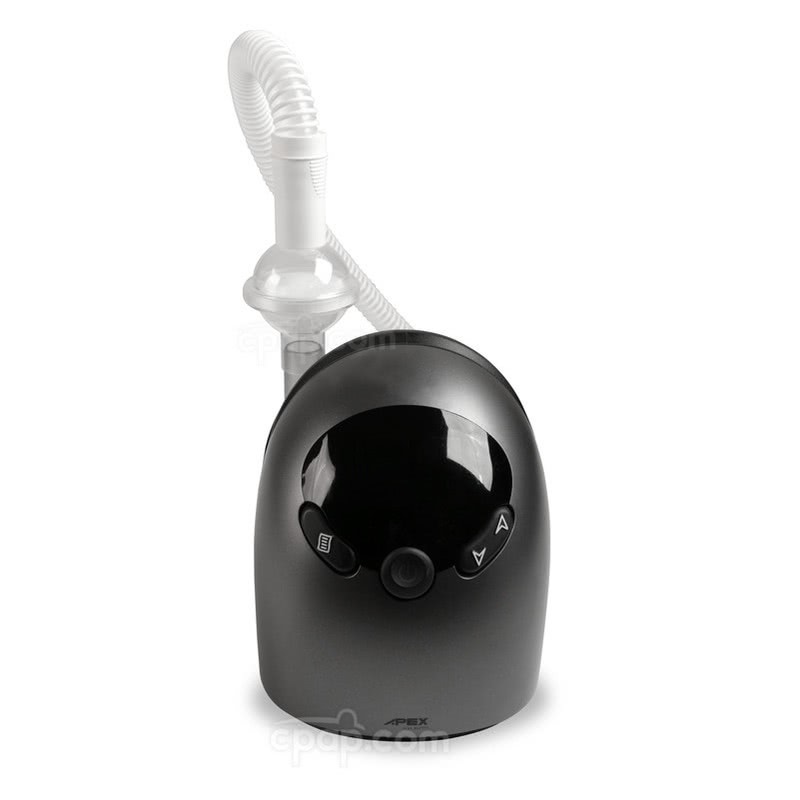 The filter attaches between the machine's air or humidifier outlet and the CPAP hose. This purchase comes with 10 individual bacteria filters. Please Note: For children and those who are pregnant or breast feeding, the generic filter may contain phthalates which may cause adverse health effects. For those using an APAP machine, the filter may cause airflow to become restricted. Those with an average pressure of 7cm H2O or less may be advised not to use the filter as an additional filtration system. If using the heated tube designed for one of the following machines, the heated tube is not designed for use with the generic filter. These hoses have a specific end component which fits directly onto the machine. The bacteria filter will not have the unique connection point; therefore, the hoses are not compatible unless the filter is placed between the mask and the CPAP hose. Please Note: Adding the filter near the mask may increase the bulk of the interface. The Hybernite Rainout Control System is compatible because the filter fits between the hose and machine. Is it Safe to Use with a Heated Humidifier? The filter is safe for use with heated humidifiers. Though, it is important to remember, heated humidifiers can drip water into the filter. If water drips into the filter, moisture can clog the filter and result in less effective therapy. If the filter becomes wet, remove it from the machine and set out to dry. Dry time may vary. Due to the unique design of the AirMini™ device and the compatible CPAP hose, the AirMini™ is not engineered for use with this generic bacteria filter. While the generic filter is suited for a large number of CPAP machines, please note the following machines are also not designed for use with the filter due to the Auto On/Off feature which when paired with the bacteria filter have difficulty sensing airflow. The bacteria filter fits the air outlet port on the RESmart Machines when the humidifier is attached; however, the fit suffers when the machine is used WITHOUT the humidifier. 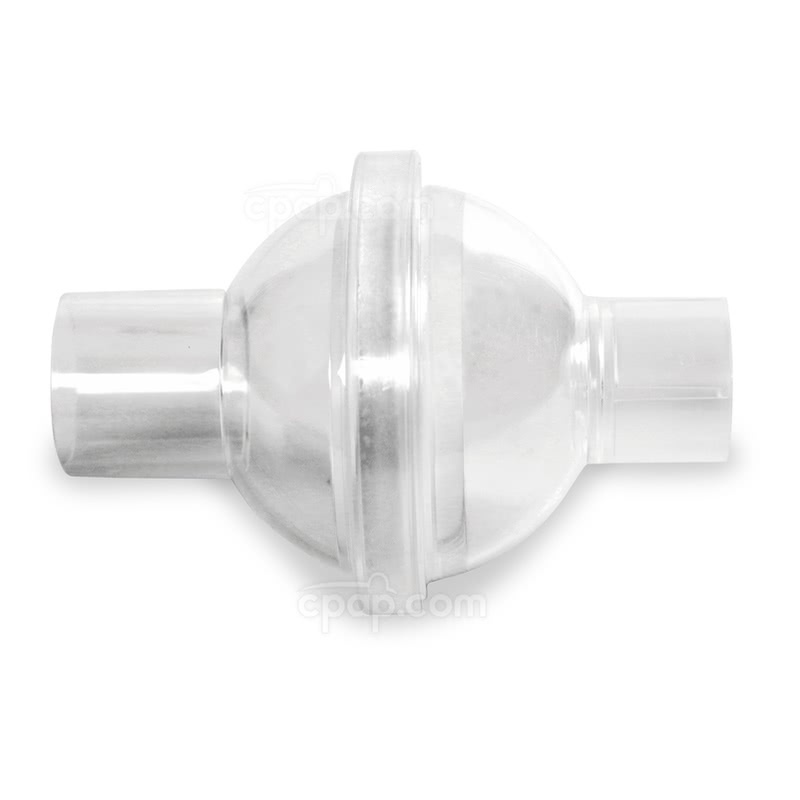 The FlexiTube Angle Adapter for CPAP and BiPAP Machines is ideal for connecting the bacteria filter to the RESmart machines, even when the humidifier is not present. M Series Machine: If a Whisper Cap is used on an M Series machine without a heated humidifier, the Whisper Cap will not fit when an outlet bacteria filter is included. To use the Whisper Cap, the outlet bacteria filter, and the machine without the heated humidifier, add a Hose Quick Connect or a M Series Tubing Swivel between the CPAP machine and the bacteria filter. IntelliPAP Heated Humidifier: The area surrounding the IntelliPAP Heated Humidifier does not yield enough space for the outlet bacteria filter to connect to the unit. 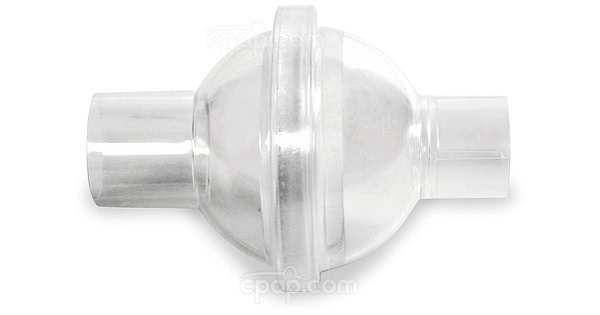 Attach the FlexiTube Angle Adapter for CPAP and BiPAP Machines to the humidifier to provide ample space for the connection. The CPAP hose fits onto the other end of the bacteria filter. The longevity of the bacteria filter is dependent upon environment. The filter should be replaced every 30 days or sooner if the filter fills with debris. Use a damp cloth to wipe the exterior of the filter only. Sleep therapy may be impacted if the in-line outlet bacteria filter becomes wet.